"Alles Schwindel" opens in Dresden Jan 20th 2017. The title of the farce says it all: »Pure Hogwash«, written in 1931 by Mischa Spoliansky and Marcellus Schiffer as their third piece of music theatre for Berlin’s Theatre am Kurfürstendamm, set out to lampoon the contemporary scene. The story of a society in which everyone pretends to be someone else, and where facts and feelings are capricious, slyly holds a mirror to 1930s Berlin. Buffeted by political upheaval and still reeling from the wild 1920s, many felt their lives to be like a rollercoaster ride. The action supposedly takes place »yesterday, today and tomorrow«, so that modern audiences are still able to identify with the main couple, Evelyne and Tonio, who meet through a lonely hearts’ advert, and never really get to know one another’s real identity. A portrayal of a fake small-talk society of 1932 and 2017, where no one reveals their true face. Der Titel der Burleske sagt bereits alles: 1931 schufen Mischa Spoliansky und Marcellus Schiffer ihre dritte Musiktheaterzusammenarbeit »Alles Schwindel« für das Berliner Theater am Kurfürstendamm – und trafen prompt den Nerv der Zeit. Die Geschichte rund um eine Gesellschaft, in der jeder vorgibt, ein anderer zu sein, und in der auf Tatsachen und Gefühle kein Verlass ist, spiegelte gekonnt das Berlin der 1930er-Jahre: Die damalige politische Umbruchzeit und die Nachwehen der wilden Zwanziger ließen viele ihr Leben als Achterbahnfahrt empfinden. Schiffers spitzzüngige Texte in Ergänzung mit Spolianskys mitreißenden Melodien gebaren Evergreens wie »Mit dir möchte ich mal auf der Avus Tango tanzen« oder »Auf der Gesellschaft«, die bis heute im Ohr klingen. Und auch jenseits dieser Hits hat die Burleske nichts an Aktualität eingebüßt. Gemäß ihrer Angabe zur Handlungszeit – »Gestern, heute und morgen« – kann man sich bis heute mit dem Protagonistenpaar identifizieren: Evelyne und Tonio, die sich über eine Kontaktanzeige kennenlernen und bis zum Ende nicht wissen, wer der andere eigentlich ist, sind Abbild einer falschen Small-Talk-Gesellschaft, die 1932 wie 2017 kein wahres Gesicht erkennen lässt. "WIE WERDE ICH REICH UND GLÜCKLICH"? Opens in Mannheim Jan 21st 2017. Mischa Spoliansky’s cabaret revue was met with jubilant acclaim when it first premiered in the Komödie playhouse am Kurfürstendamm in 1930. With its unassuming tragi-comical protagonists, the absurd story of the rise of a con artist in the middle of the global economic crisis touched the nerve of the times. Despite its musical sophistication, Spoliansky had no qualms entertaining the masses with his jazz, dance and chanson numbers, capturing both the flair of the »Roaring Twenties« and the sentiment of misery in times of crisis. And – let’s be honest – who hasn’t asked themselves: How do I become rich and happy? Nach ihrem überwältigenden Erfolg in der Operette Clivia kehren die Geschwister Pfister und Schauspieler Stefan Kurt mit einer Hommage an den Meister des unterhaltsamen satirischen Kabarettsongs und der großen Revuen der Weimarer Republik zurück: eine opulente Vorbühnenshow – mit bekannten und weniger bekannten Juwelen aus der Feder des jüdisch-russischen Komponisten Mischa Spoliansky. After its overwhelming success in the operetta Clivia reverse the siblings Pfister and actor Stefan Kurt with a tribute to the master of entertaining satirical cabaret songs and the great revues of the Weimar Republic back: an opulent Vorbühnenshow - known and lesser-known gems from the pens of Jewish -Russian composer Mischa Spoliansky. 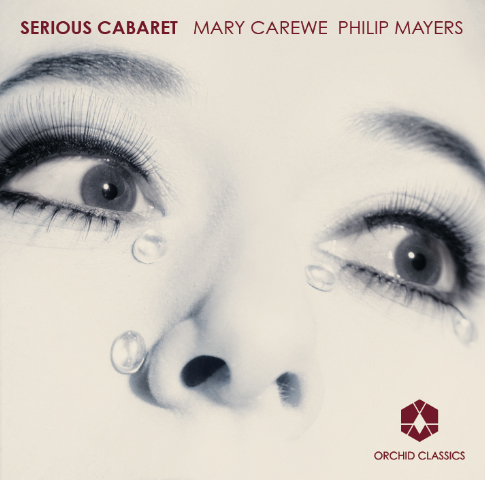 New recordings of three Spoliansky songs by the talented and versatile Mary Carew. Spring release date to be advised. Philip Mayers - piano and arrangements tracks 1,2,4,5,7,9,10,13,17,22,24,25. Music composed and conducted byMischa Spoliansky. The first released CD of a film score by Spoliansky, remastered byKritzerlandfrom the original masters of the album held in the Capitol/EMI vaults. The main theme is astonishingly beautiful and evocative, Spoliansky's dramatic scoring accompanies Premingers stately visuals masterfully. His “Toccatina” for organ is a wonderful piece, as is the “Dream Minuet”. But every cue in the film helps underscore the characters many and varied emotions. Mischa Spoliansky scored for many high profile films like “The Private Life of Don Juan”, “Sanders of the River” (starring Paul Robeson, and for who Spoliansky composed several songs), “The Man who could work Miracles” “Wanted for Murder” “King Solomans Mines” “The Happiest days of our Lives” “North West Frontier” and many others. 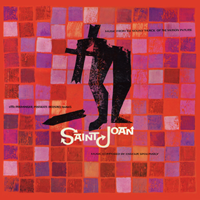 On the original LP presentation, the album contained all of Spoliansky's score, cues were combined rather artfully so much so Kritzerland decided to present this CD in the exact same album configuration. We are pleased to announce the imminent release of a CD of some of Mischa Spolianky's film music. This was recorded by the BBC Concert Orchestra under the conductorship of Ramon Garos for the Chandos label. This CD is as a direct result of our partnership deal with Music sales.We are particularly excited about this release as we hope this to be the beginning of our endeavors to re-vive Spoliansky's name to the international prominence he once enjoyed. Theme music from films such as "The Ghost Goes West" & "Wanted for Murder" with songs which became household favorites originally sung by Paul Robeson from films "Sanders of the River" & "King Solomans Mines" originally sung by Paul Robeson, and ending with a most memorable suite "Dedication" from the film "Idol of Paris" a most accomplished piece of film composition. The Trust is also excited about finalizing Mischa Spoliansky's biography. This was something his eldest daughter Spoli Mills was instrumental in uncovering and undertaking. The biography was compiled by Spoliansky himself and adapted by Penny Black. The publisher is to be Ricordi and is currently undergoing a German translation. We are hopeful of finding and English publisher in the not to distant future. Available on Amazon on the Nimbus Alliance label. Melinda’s satirical look in the jazz style at life now and then with songs from her new album promises to be a riotous evening of song, comedy and cabaret. Kiss and Tell songs are written by Jeremy Limb, Lloyd Evans and Melinda Hughes with music by Jeremy Limb. Classically trained, Melinda Hughes has performed as an opera singer in over forty countries in more than twenty leading roles from Madame Butterfly in the USA to Fiordiligi, Pamina and The Countess in the UK and Europe. She has performed in concert halls such as Queen Elizabeth Hall, the Concertgebouw, Amsterdam and the Auditorio Nacional, Madrid. Her love for Weimar Cabaret inspired her to form Kiss and Tell Cabaret and to record the album Smoke and Noise. Melinda has recorded with Barry Humphries for Radio 4 “Barry on Weimar” broadcast this summer and will sing at the Hay on Wye Literary Festival on 28th May and The Cadogan Hall, on Monday 13 June for the Intelligence Squared Comedy Evening. Clear diction means that every syllable tells, and she’s a convincing actress, able to sound vampish, bored, seductive and upper class as each song demands… "Leben ohne lieb" and "Don’t be afraid" are bittersweet jewels. Punchy, witty accompaniments turn what could be an academic archaeological exercise into something far more involving. Hughes, who's fluent in German, is pretty good at smouldering too, and has a comic gift. Hughes delivers the lines with a cut glass accent so arch that sometimes she deliberately sings up a tone, so it feels like the cut glass is cracking. Which is exactly what the song is about. Savagely trenchant. Hughes mixes Spoliansky's originals with songs from her own cabaret Kiss & Tell, like CRUNCH. This song is brilliant. Every line crackles - impossible to quote the best! An intimate/nearly claustrophobic performance with cynicism and bite, this is tailor made for the opened ears looking for some really wild, new kick. Hughes could sing the phone book, she's that good and the material is justas cool a find. Performance art at it's populist best.